I like when trades or transactions just sneak up and offer a pleasant surprise. That happened today when the Cubs announced they had traded for infielder and former Cub Ronald Torreyes for cash and a player to be named later. In addition, the Cubs signed free agent lefty reliever and 2018 Iowa Cub Kyle Ryan to a major league deal. As a result, the Cubs’ roster currently stands at 40. Torreyes originally came to the Cubs in 2012 in the Sean Marshall deal only to be traded in 2013 to the Astros to gain some additional international free agent money which the Cubs used to sign Eloy and Gleyber. But Torreyes career kept going as he has been apart of the Dodgers and Yankees systems at the major league level. Torreyes saw limited time with just 100 ABs in 2018 but hit .280. His best season was in 2017 where he hit .292 in 108 games. I really dig this signing because Torreyes can play second, shortstop, third, and right field. He’s not going hit 20+ HRs but he is going to get on base when he plays and provide a lot of defensive relief at a variety of positions. He’s also fairly young at 26. 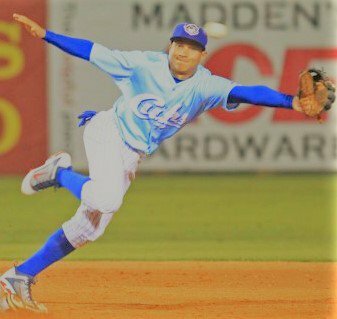 Should the Cubs release, or non-tender, Addison Russell this Friday, Torreyes provides depth at the major league behind and beside Javy Baez. 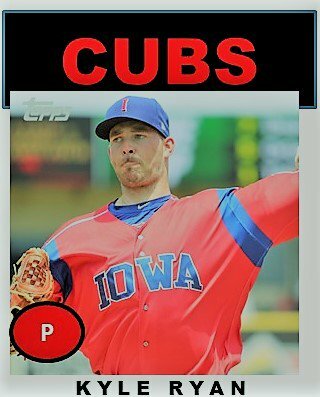 As for Ryan, he came to the Cubs last spring and did very well at Iowa. In 22 appearances, he threw 66 innings with a 2.86 ERA and struck out 61 while keeping opponents to a .204 average. The just turned 27-year-old Ryan was a minor league free agent this off season. He should be in the bullpen this spring, or at least competing for a spot.